On the way home from one of Harry's usual walks he discovered there was a Street Party going on in Exbourne Road. There were tables piled high with sandwhiches - but all out of reach. 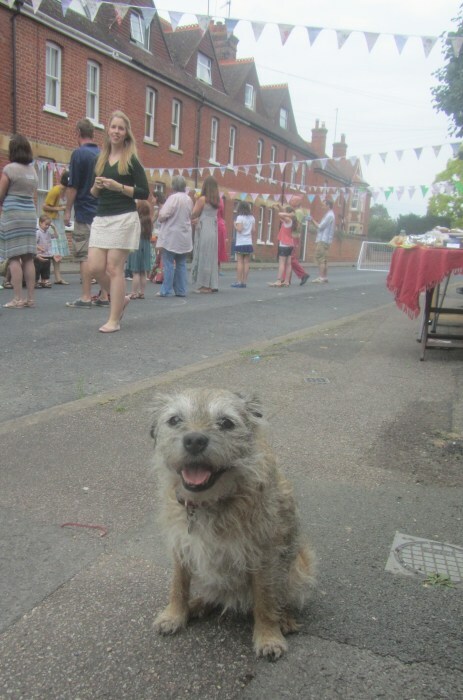 Harry is going to see if he can organise a Street Party in our street where all the sandwhiches are at street level. That would be more yummy. Harry definitely looks to be hatching a cunning plan.